It’s been quiet around here lately, hasn’t it? I took some time off to enjoy the holidays with my family. I also got a fantastic colored printer for Christmas, so I’ve been busy adding some colored printable crafts to my Etsy store. But I had to share with you this fun colored by number page I put together for my boys. One of my boys has been really into color-by-number pages. It’s been tough to find quality ones online that actually looked good, and weren’t too difficult for him. I have two versions of this printable. 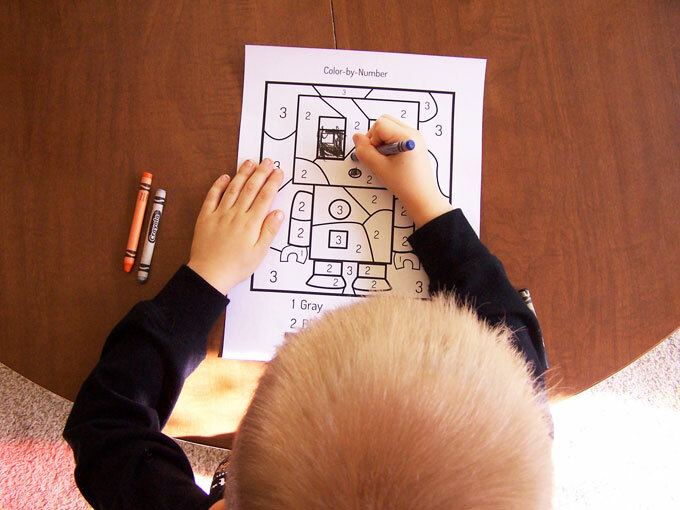 One is a simple color by number robot picture. 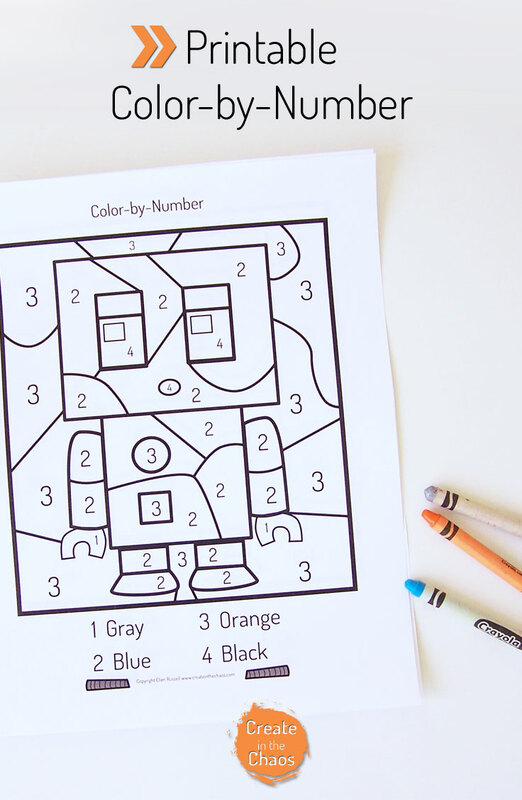 The other robot color by number has simple addition facts. 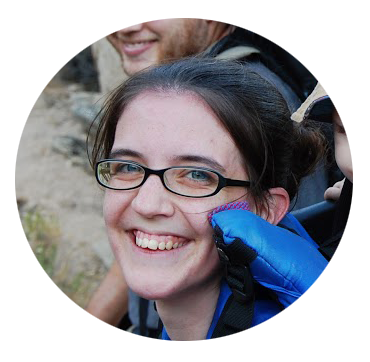 You can print off the single color by number sheet here. 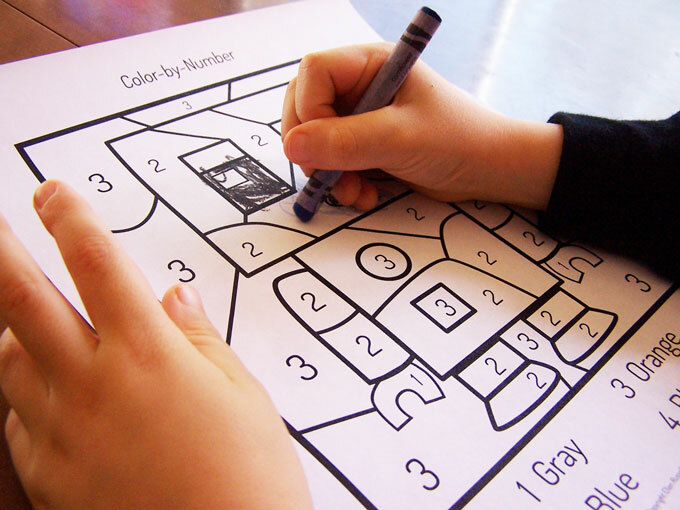 You can print off the color by number addition sheet here. My boys had lots of fun coloring these, and I printed off some extras to keep around for the future. I don’t know if your kiddos are anything like mine, but my boys sometimes love doing the same pages over and over again (especially when robots are involved!). 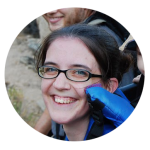 And if your kiddos love robots like mine, check out my printable robot pre-writing practice pages here, and printable robot cutting practice here. P.S. 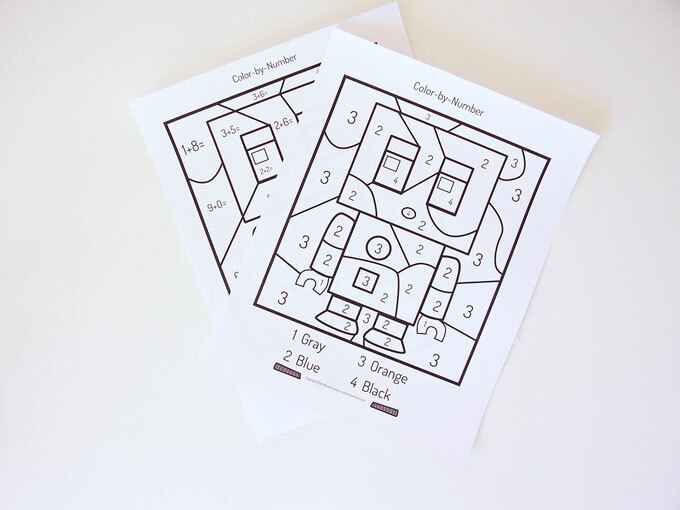 Looking for even more printable robot crafts and activities? 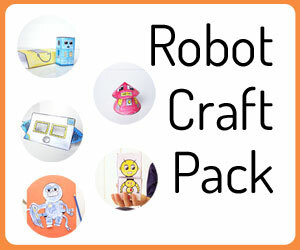 Check out the printable robot craft pack.